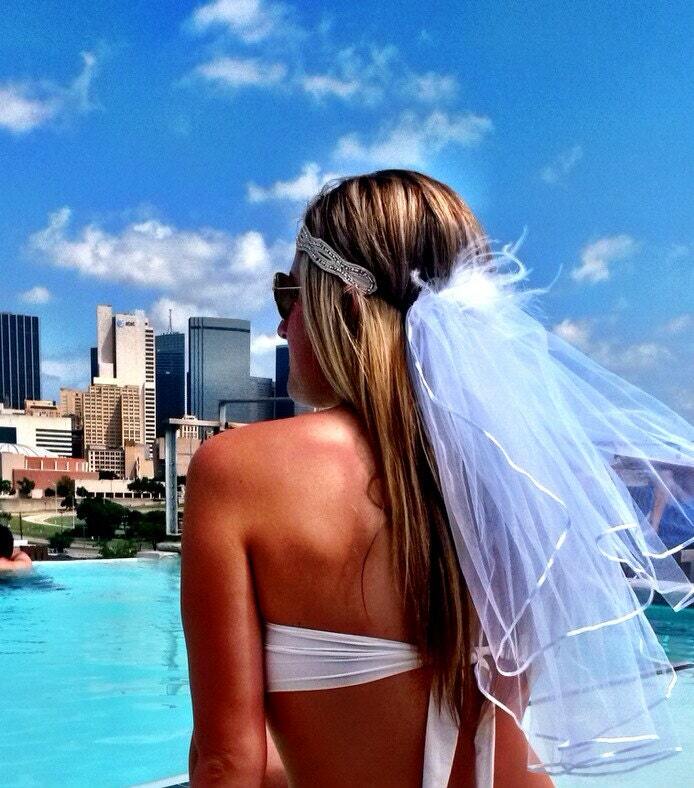 The on trend forehead headband combined with our feather bachelorette bridal veils. 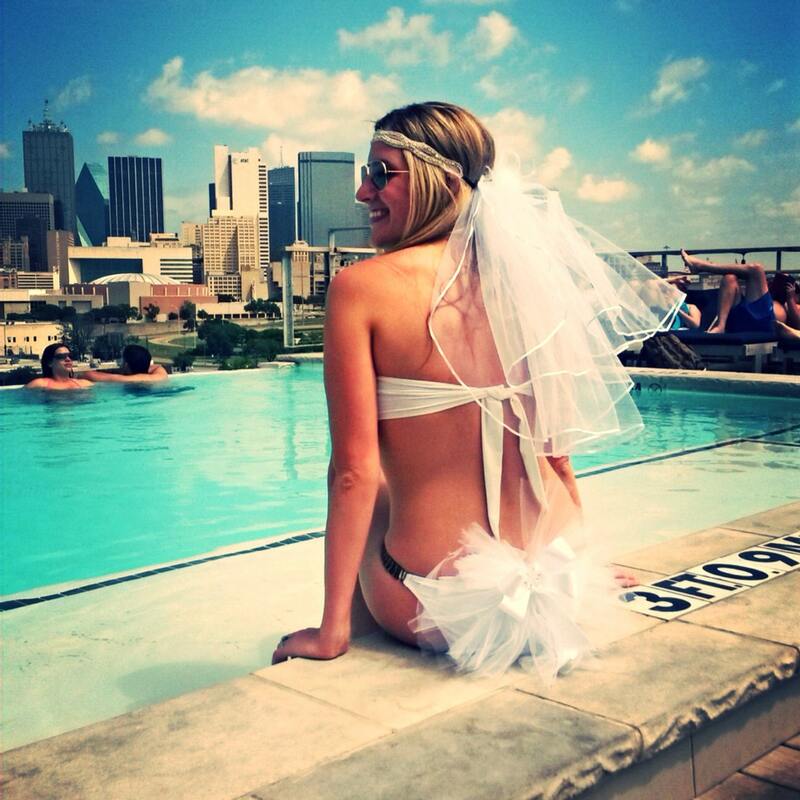 These are luxury bachelorette party veils for your fashionista bride! 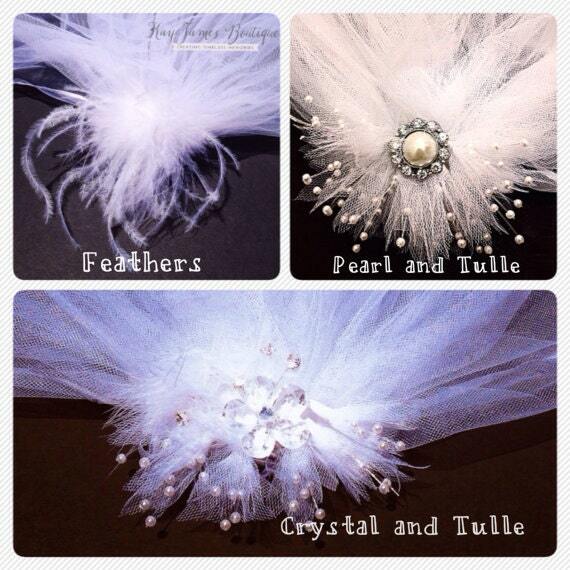 The veil has fun feathers on the head piece as embellishments. 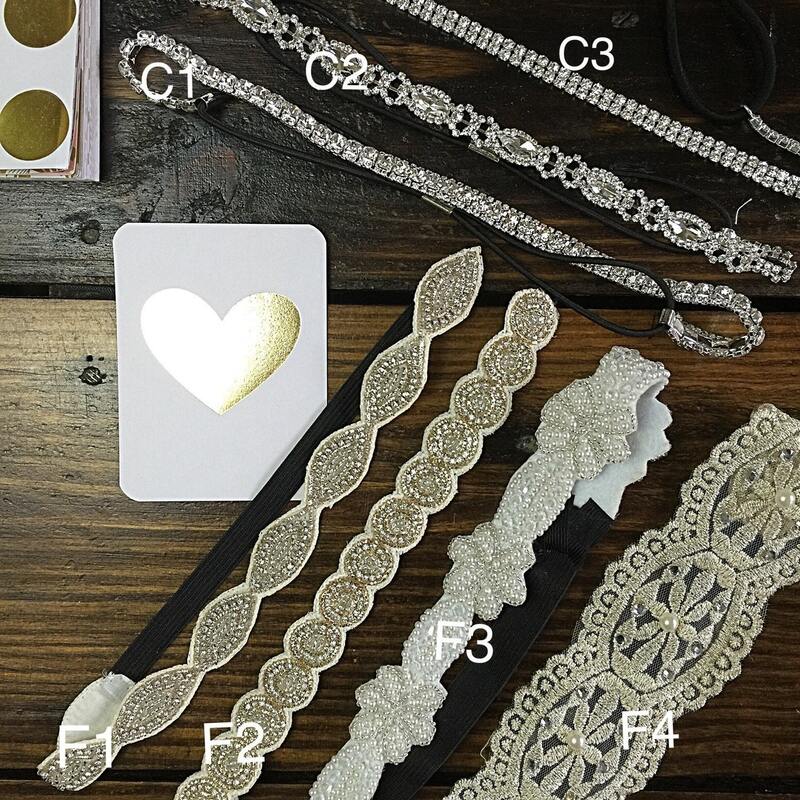 You can choose which headband you would like to include with the veil. The headband and veil are not permanently attached for ease of use. I found that it can sometimes be difficult to place when attached. This also allows you to also wear the headband without the veil - vice versa! The veil hits below the shoulder blades and is placed in your hair with a comb. Feel free to message me with any questions and let me know if you have any custom request for a veil. Thanks so much ladies and happy shopping!